Not that I am a huge baseball fan or anything … but who doesn’t like a baseball game on a summer evening, cheap seats, beer and peanuts? 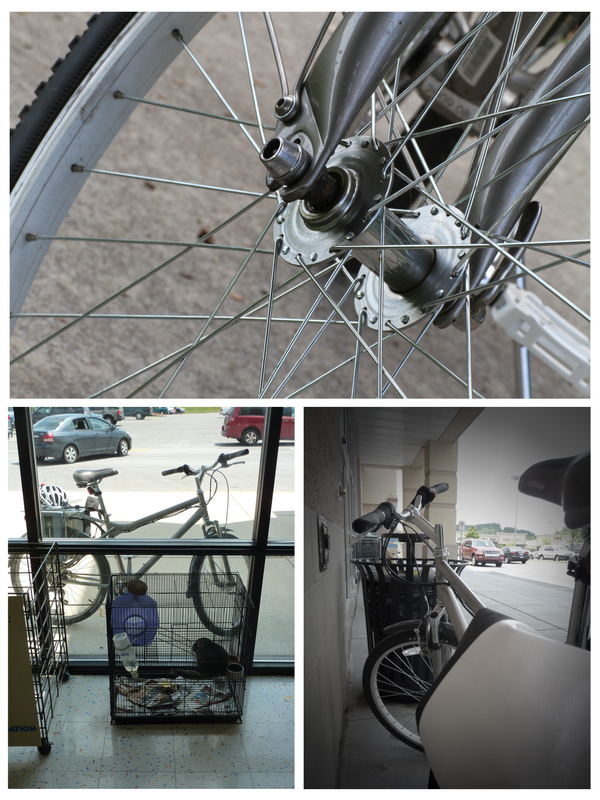 RIding on Saturday (Day 81) was a pretty boring commute/errand-running trip. To the pet store. To Target. To the grocery store. Just plain hot and nasty. Arriving everywhere like a complete sweat-ball. Oh well. 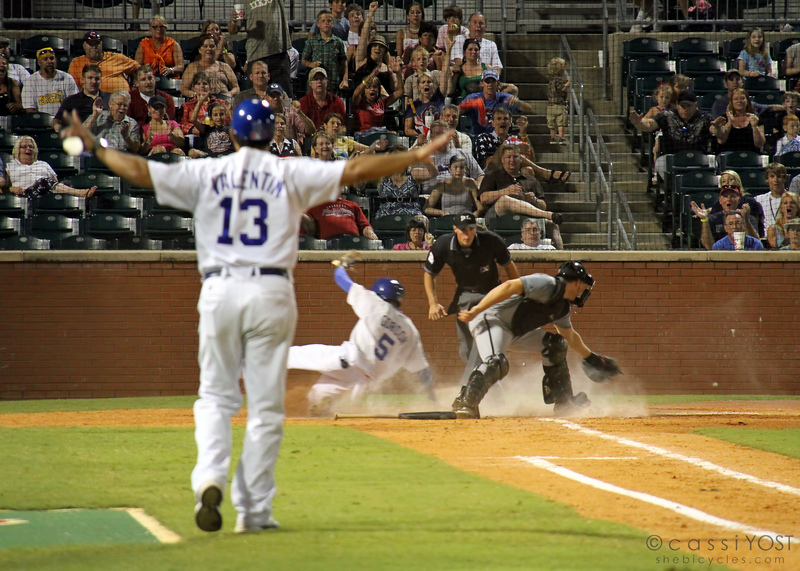 In the evening, the entire gang decided to head into Chattanooga to catch a baseball game. 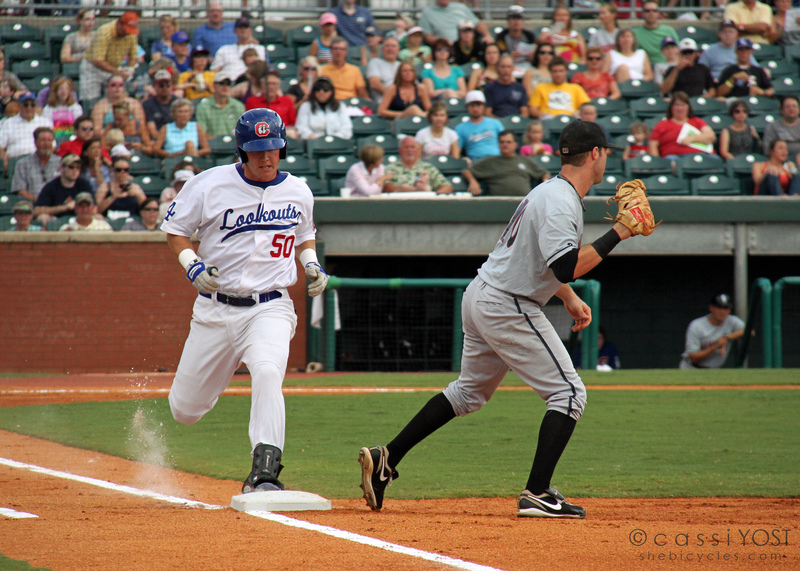 The Lookouts are our local double-A team, an affiliate of the L.A. Dodgers. Always feels like summer, sitting at a ball-game – even though I tend to do more people-watching and everything other than paying close attention to the game. I just like being out there, sitting with Mark and the boys. And a different setting for picture-taking. Today was another hot one. I think, on average, we’ve been in the 90’s every day this week – with heat indexes at 100’F or above. Just pretty miserable to be riding for any length of time. 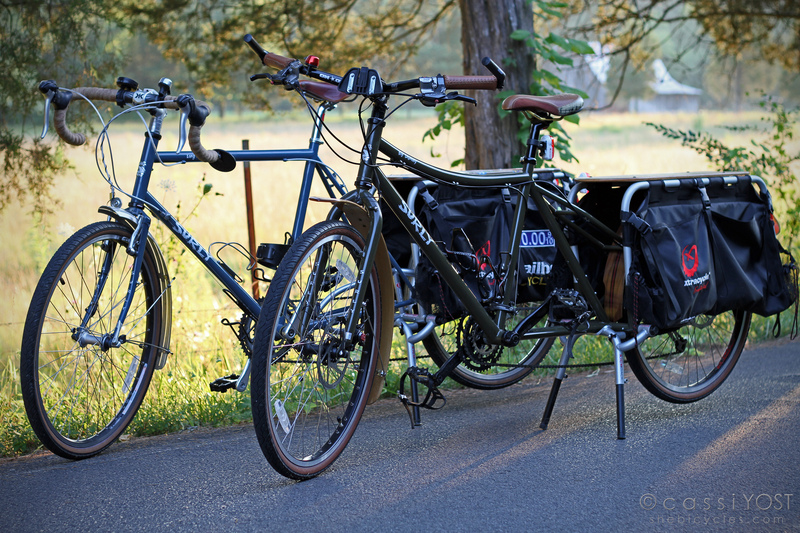 Saved the riding for the evening once again – Mark and I took a spin on the Xtracycles. Just around “the neighborhood”. The cicadas are out in full force, their droning song fills the air. We need some rain. We need some cool. If you want rain, my darlin’ girl, pedal yourself up to ONTARIO and on up the road to Honey Harbour. It has barely stopped raining here in weeks…occasional sunny moments but they are few and far between. I don’t swim but if I did I would not need flippers as there are little webby forming between my toes. Hope the patient is recovering and will soon be back to his old self.